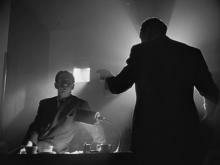 Overview - Orson Welles' timeless masterwork (#1 in the American Film Institute's 1998 list of Best American Movies) is more than a groundbreaking film. Presented here in a magnificent 60th anniversary digital transfer with revitalized digital audio from the highest quality surviving elements (Disc One), it is also grand entertainment, sharply acted (starting many of Welles' Mercury Players on the road to thriving film careers) and superbly directed with inspired visual flair. Depicting the controversial life of an influential publishing tycoon, this Best Original Screenplay Academy Award® winner (1941) is rooted in themes of power, corruption, vanity -- the American Dream lost in the mystery of a dying man's last word: "Rosebud." 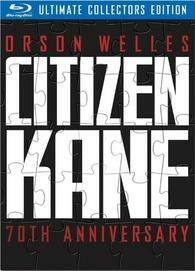 Warner Bros. is bringing the 70th Anniversary of 'Citizen Kane' in two releases, the Ultimate Collector's Edition (which we are reviewing here) and the Amazon Exclusive which also includes a DVD copy of 'The Magnificent Ambersons.' The Ultimate Collector's Edition is a 3-disc set. The first discs is a BD50 for 'Citizen Kane' and its SD special features, most of which were found in the previous DVD release. The next two discs are DVDs, one for 'The Battle Over Citizen Kane' (an exact copy of disc two from the previous DVD release), and the other for the 1999 HBO film, 'RKO 281', which is a fictionalized account of the making of 'Citizen Kane'. 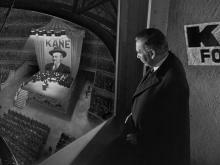 'Citizen Kane' comes to Blu-ray with a brand new 4K digital restoration. 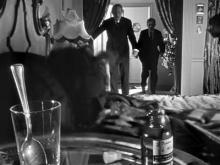 Framed in its original theatrical aspect ratio of 1.33:1, with an 1080p/AVC MPEG-4 encoding, 'Citizen Kane' isn't perfect, but it's pretty darn close. Warners has chosen to forgo any expansion into multi-channel surround sound. What we have here is an authentic, lossless 1.0 DTS-HD MA track. And while it's obvious that 'Citizen Kane' will never be able to technically compete with modern audio, it sounds pretty great. 'Citizen Kane' was released in 2001 on a two-disc DVD, and this is essentially the same package here. Overall, it's a shame there's nothing new and in high definition, but with two incredible commentaries and a feature length documentary about the controversies surrounding the film's production, it remains a pretty solid package, now supplemented with an additional film and other paper materials. 'RKO 281 (SD, 83 mins) -- Starring James Cromwell and Live Schreiber, this is a 1999 HBO movie, produced by Ridley Scott, about the making of 'Citizen Kane'. It won a Best Mini-Series Golden Globe and a few technical Emmy Awards. Would have been nice if it were in high definition. A 48-page Book -- Similar to Warners' other "digibook" booklets in terms of style and content, this book includes pictures, storyboards, and other behind the scenes information. Well done and fun to look through, but not sure if it's a more-than-once special feature. Reproductions -- There are also 10 studio memos and other correspondence to look through, as well as 5 one-sheet posters, and a 20-page Souvenir Program from the film's opening night. Really fun glancing through these. Whether or not the drama of 'Citizen Kane' works for you, this is a stunning piece of film history, well deserving of its place at, or near, the top of many, many Great Film lists. 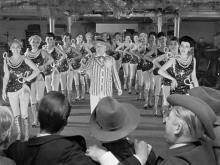 On the commentary, Ebert talks about lists, about the human need to make them, but it doesn't matter whether Citizen Kane is first, second, or six millionth. It's a great film, and that's all that matters. Warner Bros. has delivered another sumptuous classic catalog title on Blu-ray. It features an authentic soundtrack, and a terrific video presentation that will delight film lovers and Kane fans alike. If you haven't seen Kane, it's well worth a look. For fans, this is a must own release!